Hey ladies! I hope you've all had a very blessed Inauguration Day as well as an inspiring Martin Luther King Jr Day! I've totally enjoyed my day. I've done a lot of planning, cleaning, re-evaluating, and working on these dreams of mine. In the middle of all of that, I realized that on this very day, ten years ago, I officially started dating my husband. Yep, I've been with my J for ten whole years! 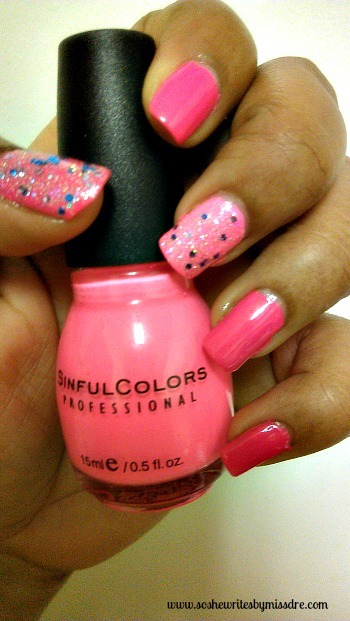 So since I'm in a sweet, lovey-dovey mood, I decided to revert to what I know best- a pretty pink mani. My nails are all dressed up in love again, y'all! For this week's mani, I used Sinful Colors Nail Polish in Cream Pink, Sinful Colors Nail Polish in Neon Pink and NYC Nail Polish in Starry Silver Glitter. 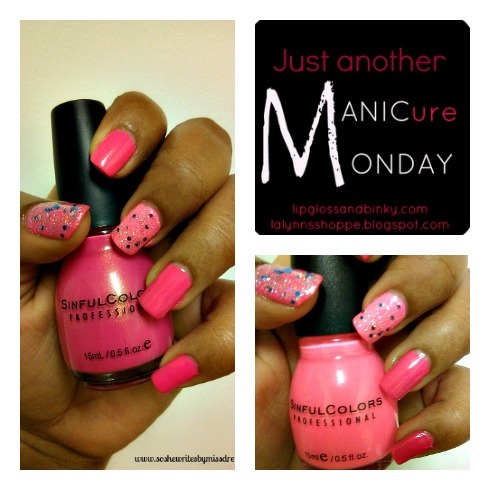 CLICK HERE TO CHECK OUT LAST WEEK'S MANI!